Relevance’s Monaco HQ is slowly coming back down to earth after a whirlwind few weeks. May on the French Riviera is always a crazy month, with the Cannes Film Festival and Monaco Grand Prix two of the most highly anticipated events of the year. While some of our team of digital experts dazzled as they walked the red carpet in Cannes, our harbourfront location in Monaco meant we were all swept up in the Formula 1 fun. A noticeable energy and festival atmosphere fills the Principality in the weeks and days leading up to the big race and this year was no different. As a tantalising prelude to the main event, the Historic Grand Prix was held on May 11th – 13th. This biannual event showcases vintage racing cars of yesteryear and is held on the same street circuit as the F1 race. For many of the proud owners of these classic vehicles, the chance to compete on this hallowed course is a dream come true. Not only were earplugs a must in the office on the Friday, but our press passes allowed for access all areas. On Sunday, the main race day, our content and digital PR team were able to get up close and personal with the drivers and the cars – and came away with some incredible stories and images from pit lane, paddock and starting grid. 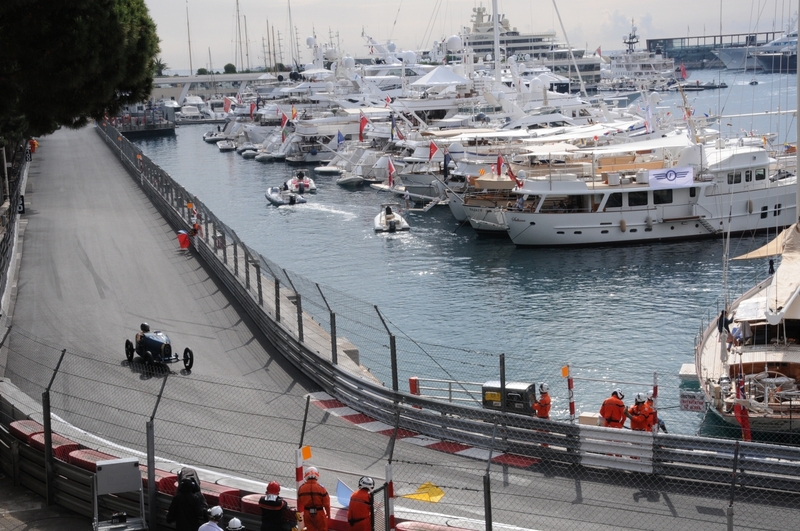 You can read one of our articles from the Monaco Historic Grand Prix here. Our location, overlooking the starting grid, means that avoiding the Grand Prix is impossible. Rather than escape, we chose to embrace. Friday’s morning session is free, which provided ample opportunity for the account management teams to capture action shots of the cars to share in real time on their client’s social media feeds. 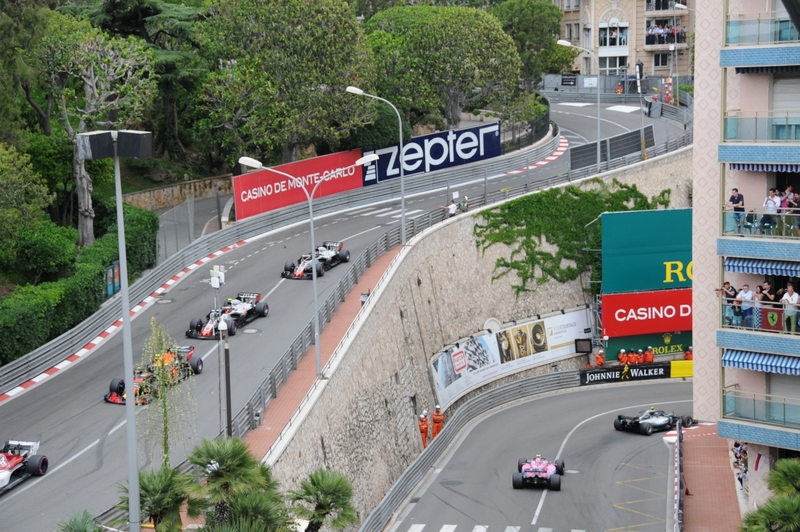 Monaco is all about watching the Grand Prix from a yacht or private balcony and, with a trackside location like ours, we threw open our doors for the second year running and friends and clients alike could watch the action from our terrace. We enjoyed pizza and Prosecco and a front row view of the starting grid and were delighted to welcome friends from Engel & Völkers Yachting, 209 Mare, and Monaco-based influencer Yana Weiman among others. We must also thank the team at the Fairmont Hotel Monte-Carlo for their hospitality and for inviting us to join them on their spectacular rooftop overlooking the famous hairpin bend. We were able to shoot some spectacular footage over the four days and soak up the atmosphere to add even more flavour to the Grand Prix content we create for our clients. Some of the team were also lucky enough to be invited to the party during the Monaco Grand Prix, the Amber Lounge. Our CEO, Rumble, was among guests who rubbed shoulders with F1 drivers such as local boy Charles LeClerc and Game of Thrones stars Kit Harington and Liam Cunningham for the U*NITE Amber Lounge Fashion Show in support of Sir Jackie Stewart’s ‘Race against Dementia’ Foundation on the Friday evening.